On February 10th, the Jaguar Drill Team competed in the Seminole Ridge High School Drill Meet. Competing in the wide variety of events included: platoon, squad, color guard and exhibition. Both the male and female teams performed admirably. The Jaguar Drill Team placed first in the overall meet — winning all eight of trophies! 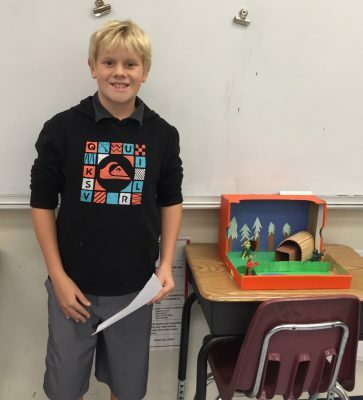 Students in Mrs. Saunders’ 5th grade present Native American Projects. Fifth graders enjoyed presenting Native American projects. 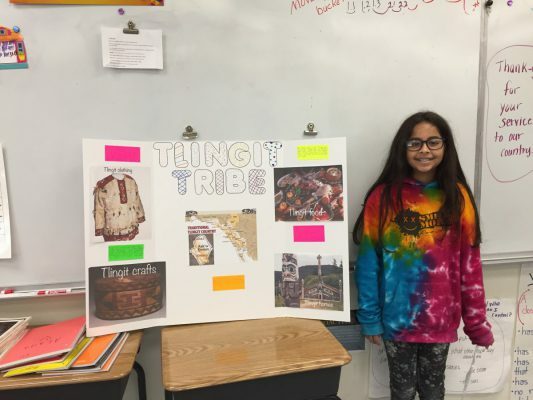 As part of their Reading and Social Studies standards, each student researched a tribe, wrote about the culture, then created a board or diorama reflecting the unique attributes they discovered. Pictured: Zachary Cobb, Jonah McCrory, and Victoria Serrano Melendez.